Spice up your decor with a glittery gold chameleon! 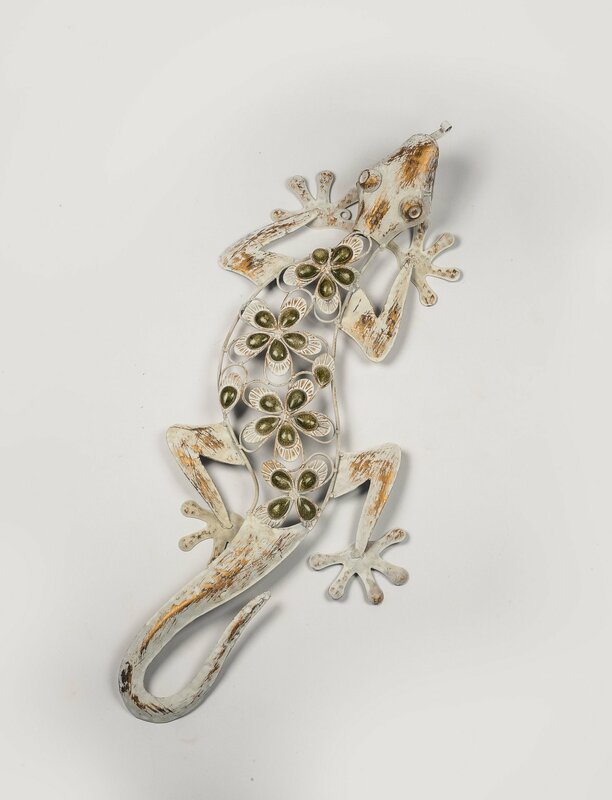 This handsomely crafted metal wall sculpture is shaped just like a lizard stretched out to sun himself and features four flowers along its body. The petals are set with stones, and there are splashes of gold metallic paint on the lizard's head, legs and tail. The White Gecko has a rustic, weathered body. There a gems on the body shaped into flowers. There are round hangers on the front legs for hanging on to a hook.